adidas, aiming to build brand love and brand participation, has decided to widen its communication means. Its OBA (“One Brand Anthem”, aka the slogan “adidas is all in”) has been channelled not only via the ATL, but also via the trade-marketing lever in its points of sale, mono-brand and multi-brand, thanks to sensational and absolutely unconventional display windows. 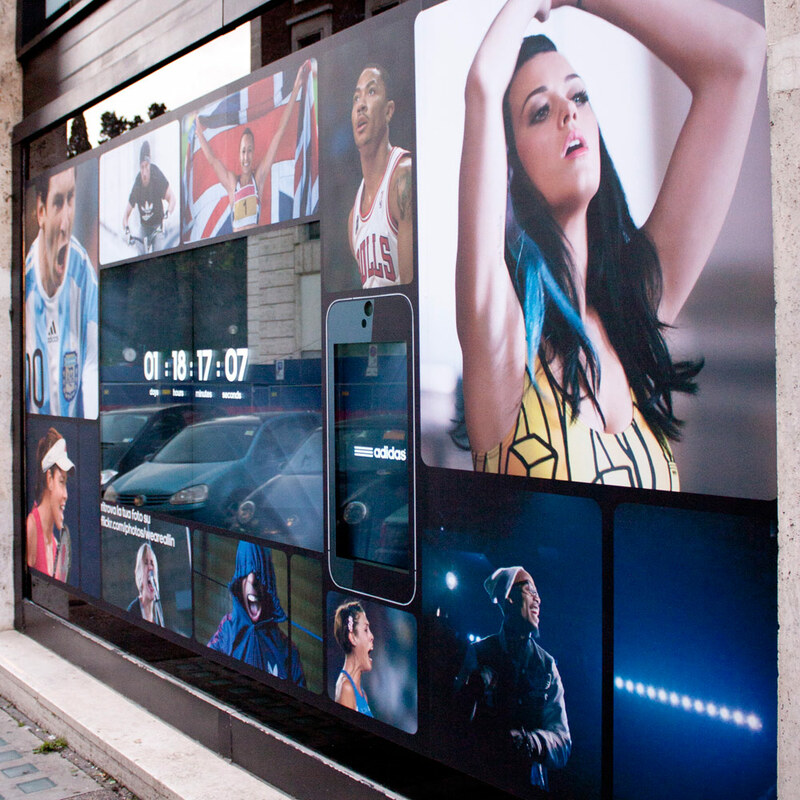 Vimage has designed, built and set-up a new multimedia display window model capable of involving and thrilling the passers-by. 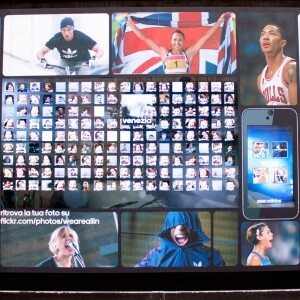 Everyone can become a part of the adidas world thanks to this sophisticated and interactive system. 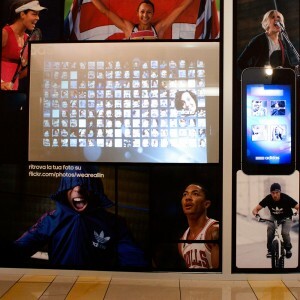 The display windows, interconnected via the web, become a showcase offering not only picture of the brand’s universe, but their interactive touch surface also allows to take pictures and to make movies. These can be looked at and watched in the actual showcase but not only: they can be shared with the entire system and seen in every involved Italian city. 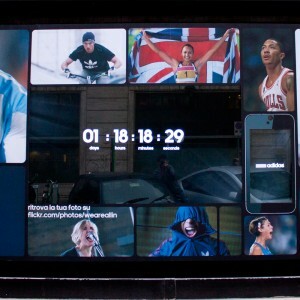 Thanks to this campaign, these pictures were also present on the web, in a Flickr special album. A quasi real-time system, driving harmful content filters, shared them online and updated them on a daily basis. Vimage has designed, built and set-up this highly articulated project in only two months: another endorsement of its working methods’ efficiency. The targeted audience, strongly impressed and thrilled by the showcases, fully understood the brand’s message finding its idols in the people and faces’ mosaic, and especially by becoming part of their world. Adidas has strengthened its brand image by allowing its audience to recognize itself in it, and its viral effect has embraced the greatest social networks.